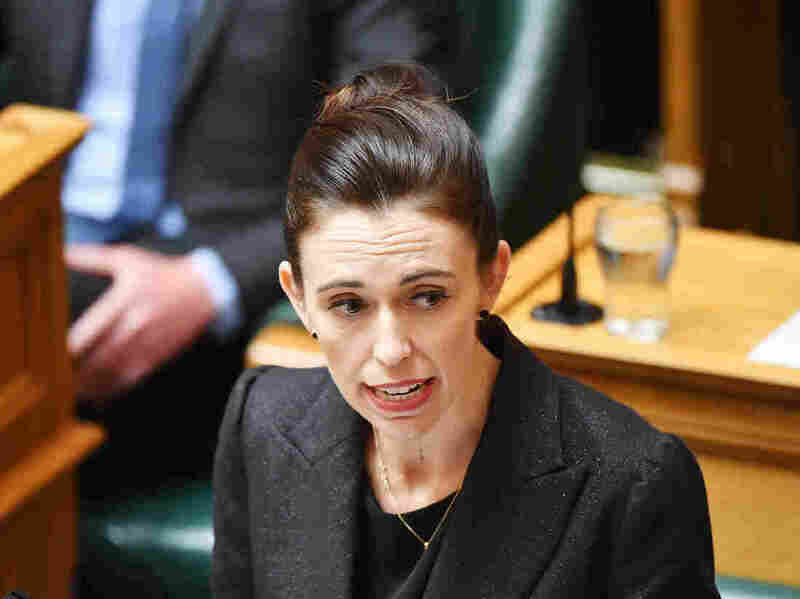 Ardern Says New Zealand Shooter Will Be Nameless, Not Famous Jacinda Ardern repeated her pledge to change New Zealand's gun laws and she questioned the role of social media in publicizing the attack by a self-proclaimed white supremacist. Ardern said that that the gunman is an Australian citizen facing one count of murder. She said that other charges will follow, adding, "The families of the fallen will have justice." The prime minister also said her government "will look at the role social media played" in the publicizing the attacks. "They are the publisher, not just the postman," she said. "There cannot be the case of all profit, no responsibility." Ardern repeated her earlier promise to seek changes in New Zealand's gun laws. She said her Cabinet will announce "some decisions" before it meets again next Monday. She offered no other details. As NPR's Matthew Schwartz reported, one focus likely will be on restricting the purchase and modification of semi-automatic weapons such as the one the gunman allegedly used to kill 50 people. The 37-year-old prime minister has been receiving praise for her response to her nation's tragedy, exuding strength, compassion and calm in public settings. She opened her remarks Tuesday saying, "One of the roles I never anticipated having, and hoped never to have, is to voice the grief of a nation." Ardern also underlined her nation's self-image as a welcoming country as she referred to the Muslims who died while attending Friday prayer service. "They are New Zealand," she said. "They are us."